If you are looking to play with great chances of winning the top prizes, then Slammin’ 7s is just the perfect one for you. You can hit the mark with this game. 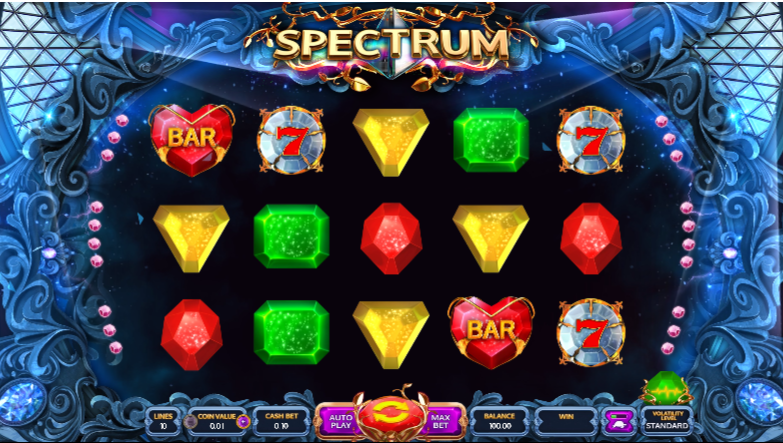 This slot machine offers inventive design and win with good rates to create a game where you can flip the tiles to grab online pries. There is not a single complicated thing about this game. It is very simple game to play, and once you start it, rest assured that you cannot just leave the appeal. It offers a fresh new look and a complete different game play. Instead of being set out with the standard square 5*3 configuration, the tiles are hexagonal. And this why instead of spinning around in a circle, they flip over at different rates by twisting and turning over the board. It will feel like a more substantial flip instead of a quick spin around the reels and it is more pleasing to the eye too! The symbols are not very new. They come in bars and 7s but this will make it easy for you to know at a glance that what exactly you are dealing with. In the background there is a pop tune that is extremely catchy. It is not only the design and layout that looks eye catching, but there is also a complete host of features that are attractive too. The multiplier ties increase automatically with the amount of a winning line but the additive symbols don’t multiply but adds up certain number of coins. You can also get 5 re-spins that won’t cost you any more credits. During the re-spins, if you rack up a win, then it will be automatically doubled. For those who are looking for bigger prizes, this is just the perfect game. With a certain combination you will get a payout of 25,000 coins. There are 27 pay lines; so there are lots of possible combinations that will offer you a prize. Once you have got the grips on all the features of the game, you just have to set up the basics ready for your bet. You just have to decide on how much exactly each coin will be valued at, starting from 0.01 and increasing up to 0.50. Each spin costs X50 of the base bet and this means the lowest possible total bet is 0.50.